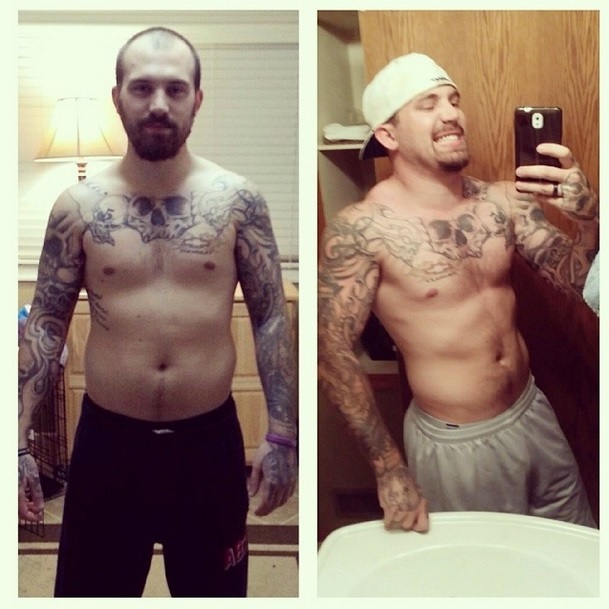 It looks like Chelsea Houska’s ex Adam Lind has been on a journey to better his health and his body lately. Take a look at the before and after photo above. He’s beefing up majorly! Lets face it, Adam has been getting a lot of criticism about his appearance lately. Personally I think of all things that people could say about him, his looks are the last thing that anyone should worry about. It’s uncool to make fun of people for their physical features. Plain and simple, no matter how much of a jerk you think he is. Adam has made some HUGE mistakes in his past and even some big ones lately, but I can’t help but voice how much change I have seen in him. He’s really stepping up and being a good father to both his daughters. It’s really great to see. Previous Previous post: More Hints That the Original ‘Teen Mom’ Ladies are Returning to MTV! Next Next post: Jenelle Evans Shares a 3D Ultrasound Photo of Baby Kaiser! What happened to Adams tattoo on his right rib? its on the other side. The first pic someone took of him, the second pic he took of himself in a mirror so the image is reversed. Notice the chevy emblem on his peck. I’m looking forward in your next put up, I’ll try to get the hang of it!